This is our last 2017’s material for "Dark art" column, in which we show the latest black metal releases with the most interesting artworks. Previous thematic selections were published in January, March, April, May, June, and July, and mid-December. The new one includes works by artists and designers from Germany, Denmark, Colombia, Peru, Russia, Serbia, France, Croatia, and Chile. For the main picture, we used the cover art of the fourth album "The Knot Will Not" of the Finnish solo project Venus Star. 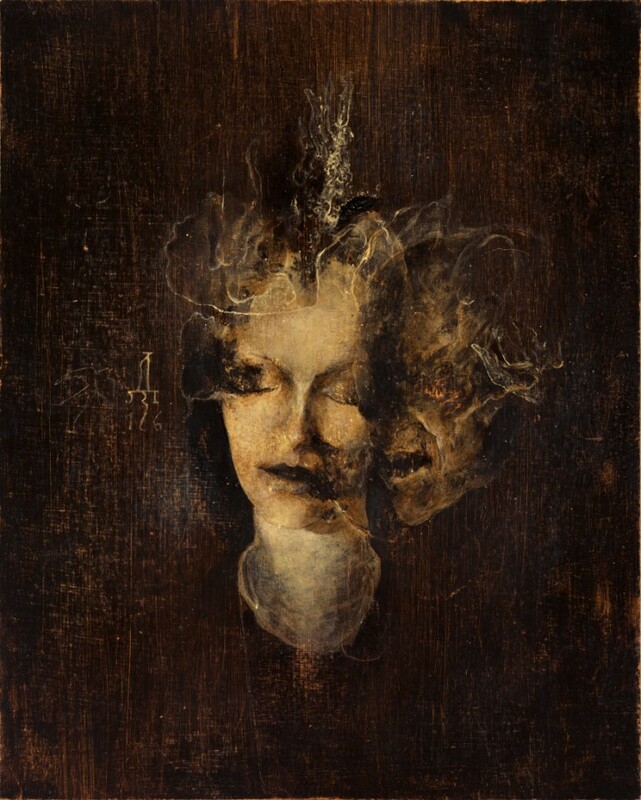 Its author is a Russian artist Denis Forkas, who has also created the art for Wolves in the Throne Room’s record "Thrice Woven" and the "bloody" cover for Behemoth’s LP "The Satanist". The cover of the debut album "Worshippers of Unearthly Perversions" of the Swedish thrash/death/black metal band Beastiality. The author is an artist from Chile Daniel Corcuera. 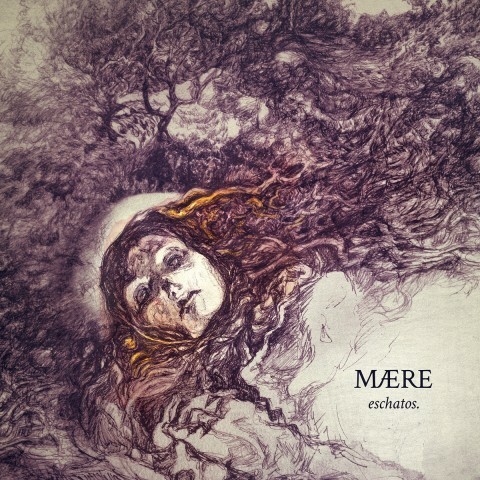 The cover of the EP "Mære" by the Latvian band Eschatos, whose release was included in our selection of experimental black metal records. The creator of the artwork is the Frenchwoman Vita Ivantcha. 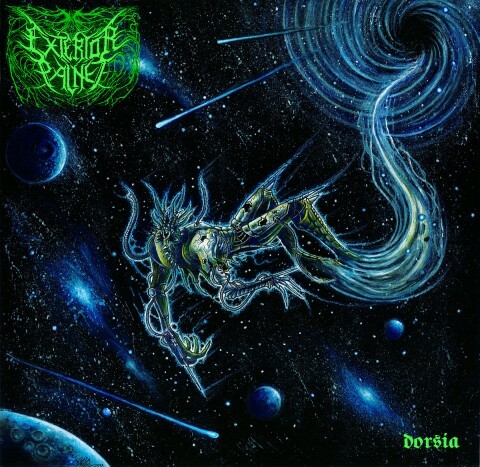 The cover of the debut album "Dorsia" of Exterior Palnet. The author is Croatian artist Saša Brnić. 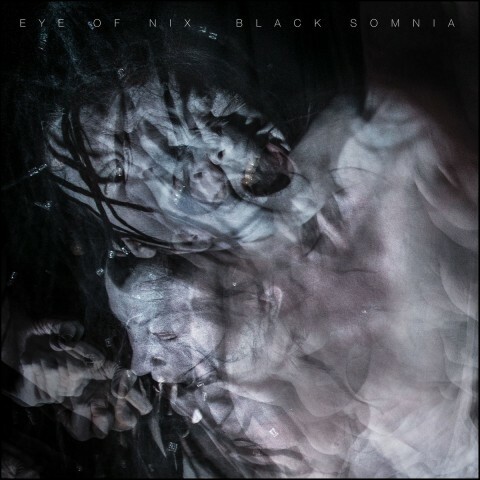 Eye of Nix’s "Black Somnia" album cover, created by Anima Nocturna (Carlos Melgoza). 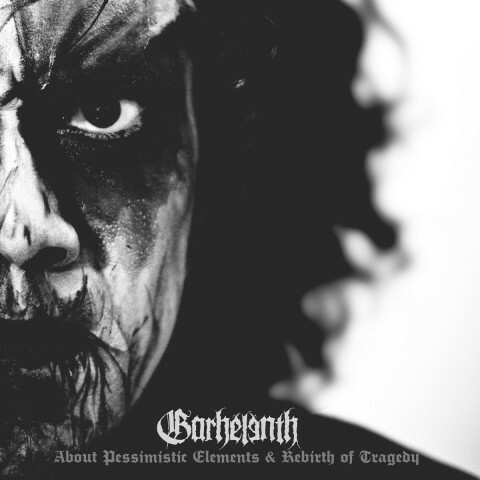 The cover of the second album "About Pessimistic Elements & Rebirth of Tragedy" of the Iranian duo Garhelenth. The author is not specified. 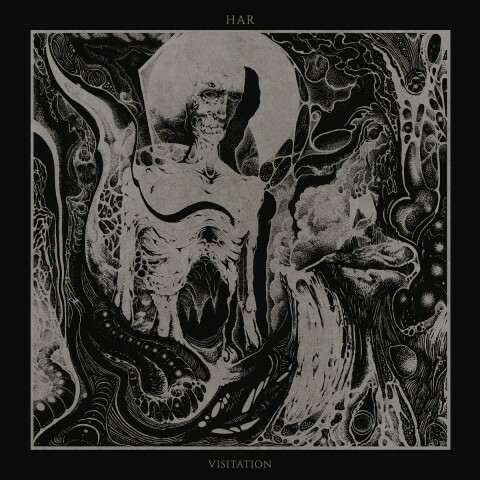 The cover of the EP "Visitation" of the Israeli metal act Har. 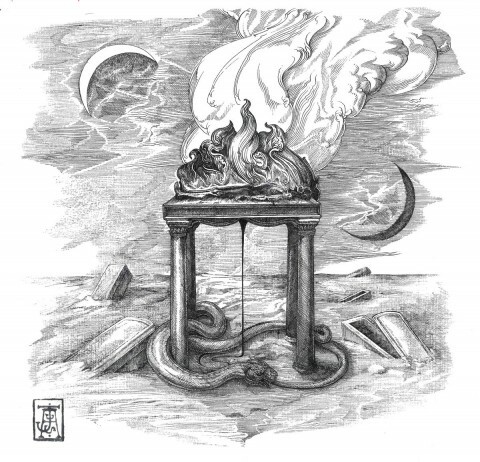 The author is a German artist Karmazid, who has also created art for Blaze Of Perdition’s album "Conscious Darkness". 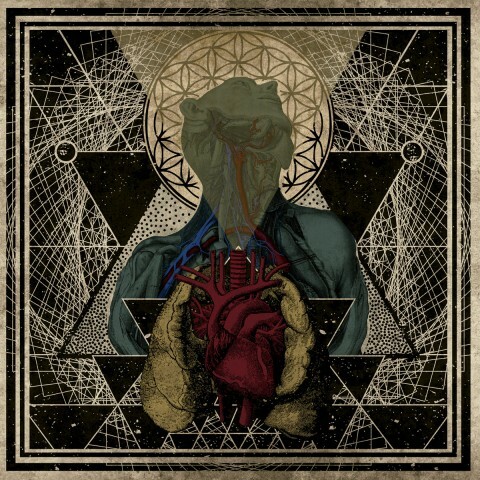 The cover of the second album "Autocognition of Light" of the Colombian band Ignis Haereticum. The author is not specified. 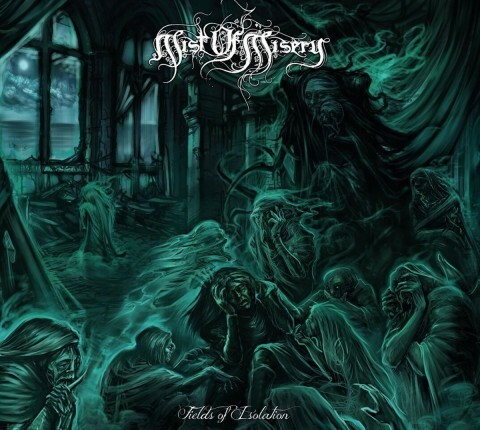 The cover of the EP "Fields of Isolation" of the Swedish symphonic black metallers Mist of Misery. The author is a Russian artist Alexander Tartsus, who has previously worked with the band. 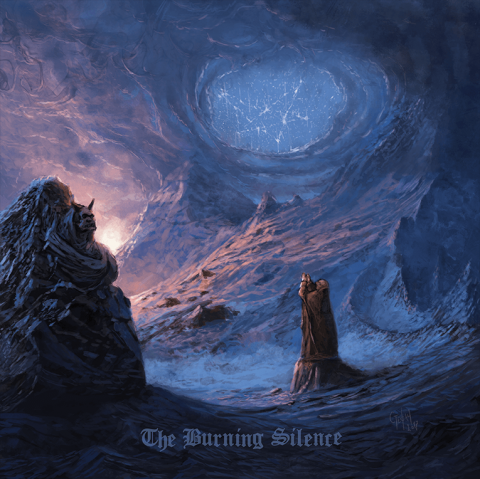 The cover of the second album "The Burning Silence Nocturne" of the Austrian duo Nocturne. The author is a Serbian musician and artist Atterigner (Khaos Diktator Design), the vocalist of Gorgoroth and Triumfall, mentioned in our previous "Dark Art" selection for his artwork for Lepra’s album "Whom Aeons Tore Apart". 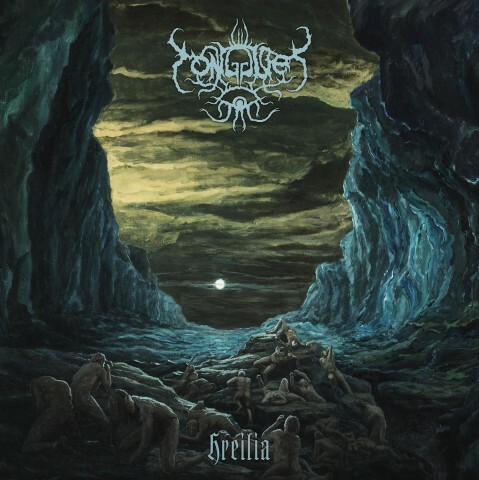 The cover of the debut self-titled album of the Finnish band Obscure Burial. The author is an artist from Peru José Gabriel Alegría Sabogal whose artwork for Kult Mogił’s album "Portentaque" was included in our previous "Dark art" selection. The cover art of the full-length release "Hreilia" of the Danish group Tongues. The author is the band’s vocalist and guitarist Antonius Lovmand Marcussen. The cover of the EP "Lady Death" of the Swedish metal act Tribulation. The author is the band’s guitarist Jonathan Hultén. The cover of the album "Spiritual Ascension" of the Russian band Witchprayer. The author is a German artist Zigendemonic. 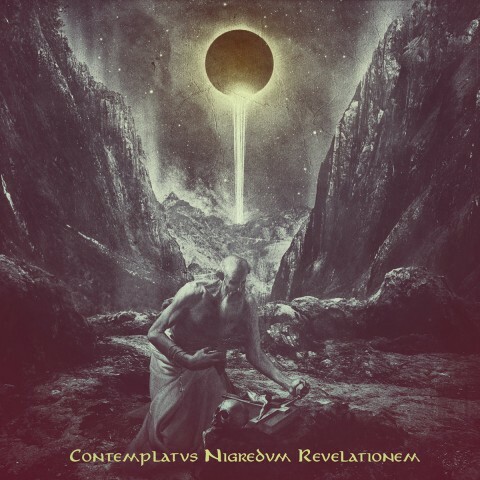 The cover art of Xerpenth’s and Profanos’ split "Contemplatvs Nigredvm Revelationem". The author is an artist from Colombia Luis Cortes. 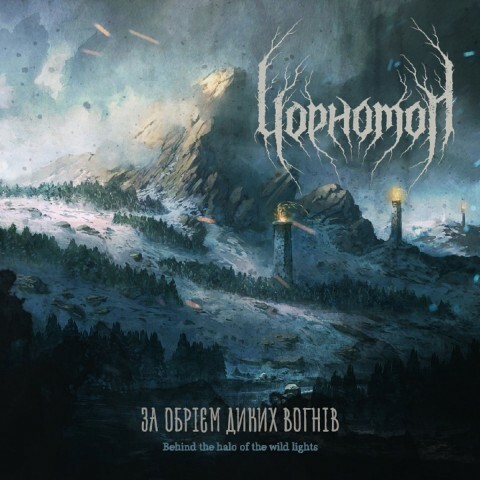 The cover of the single "Behind the halo of the wild lights" of the Ukrainian solo project Chornotop. The work of American artist Jorge Jacinto was used as an artwork for the release.